This year’s 2010 Auburn VW Open took place on the weekend of October 8th-10th at Bally Total Fitness in Kent, Washington. 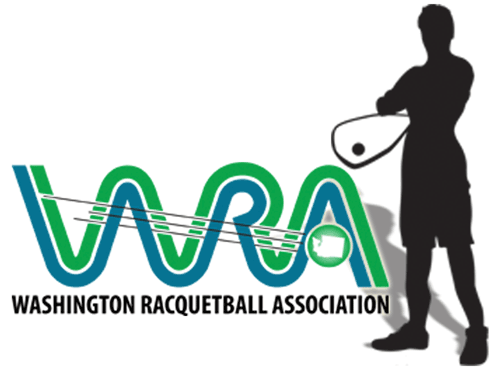 It was a Tier-4 IRT Pro stop, and was attended by several top players from the region including Taylor Knoth, Jeff Stark, and Jimmy Lowe and was sponsored once again by Auburn VW and Max Technologies of Seattle. The competition in the Men’s Pro/Open Singles division was very tough, and it came down to Taylor Knoth vs Grant Stalley and Jimmy Lowe vs Jeff Stark in the semi-finals. Taylor defeated Grant in three straight games (2,3,5) and Jimmy Lowe defeated Jeff Stark in four games (5,8,-10,5) to bring the final match down to a battle between Taylor Knoth and Jimmy Lowe. Taylor Knoth took first place by defeating Jimmy Lowe in three straight games (6,7,10). In Men’s Pro/Open Doubles, Taylor Knoth and partner Joshua Hungerford defeated Jeff Stark and partner Lon Bergstrom in two straight games (3,5) to take first place. Mike Penders and Paul Jubles took third. In Women’s Open Singles, Cheyenne Hayes took first, defeating Megan Mathes and Allysa Boland who placed second and third. Mixed Open/Elite Doubles was won by Lori Turley and James Kimball who defeated Vicki Panzeri and John Avendano in a tiebreaker game (-10,9,9). Juanita Rockwell-names and Daryl Bean took third by forfeit due to an injury. Men’s Elite Singles was won by Tolga Gesli, James Kimball placed second and John Pruit placed third. Men’s A Singles was won by Sandeep Kushan, Ian Burgess placed second, and John Williams placed third. Men’s B Singles was won by Ty Sauve, Vinnie Vela placed Second, and Ty Holcomb placed third. Men’s C Singles was combined with Women B singles and Greg Kurtzeba placed first, Jim Tarp placed second, and Galen Gering placed third. Men’s Elite Doubles was won by Scott Nelson and John Coates, John Avendano and Neal Heggen placed second, and James Kimball and Sal Gonzales placed third. Men’s A Doubles was won by Aziz Makhani and Elliot Crosby, John Williams and Charles Coen placed second, and Dave Freed and Randy Jacquart placed third. Men’s B Doubles was won by Aziz Makhani and John Sweeney, Edd Johnson and Chris Davis placed second and Kevin Jacquith and Randy Jacquart placed third. Mixed A Doubles was won by John Williams and Wendy Tyus, Cathy Epperson and Niel Lawrence placed second and Lori Turley and Joann Johnson placed third.